Applications for the Aurora Project’s summer 2014/2015 round of internships are now open. There are two internship streams tailored to Anthropology and Social Science candidates and to Legal candidates. Students and recent graduates are encouraged to apply. For more information regarding eligibility and how to apply please see the flyers below click here to visit the Aurora Project’s website. The Aurora Project is also offering a free 3day Introduction to Native Title Anthropology workshop. Aurora interns and Anthropologists recently employed with a NTRB will be given priority. However, all students and recent graduates interested in pursuing a career in Native Title are welcome to apply. For more information on the workshop please see the flyer below or click here to visit the website. YMAC would like to congratulate Ashburton Aboriginal Corporation (AAC) for being shortlisted for Pro Bono Australia’s inaugural Social Enterprise Awards. 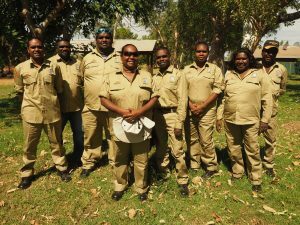 ‘Ashoil’, a commercial enterprise run by AAC, trains indigenous youth from the Pilbara region of Western Australian to convert waste cooking oil into biodiesel fuels. The initiative has been shortlisted in the ‘Social Enterprise Innovation’ category. The Awards celebrate commercial ventures across all sectors of the Australian economy that deliver economic, social, cultural and environmental outcomes directly to the community. Winners will be announced in Melbourne on Tuesday 28 May, 2013. AAC aims to benefit Aboriginal people in the Pilbara through increasing employment and enterprise opportunities, and by providing education and training services. Click here for more information about Ashoil, and here to see Pro Bono Australia’s full Social Enterprise Awards shortlist. For more information about AAC, please visit their website.